"A MMOFPS game set in a bleak post apocalyptic world"
Survarium is a first person shooter set in a post apocalyptic world, the levels are dreary and bleak but nicely presented and what I think a lot of people would imagine a post apocalyptic world to look like, the game handles nicely and whilst I have never been particularly adept at frist person shooters I settled in to this one quickly ok I was never the top marksman in the game but I was never the worst either. 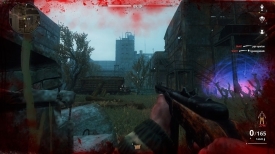 The bleak and grey atmosphere adds a nice creepy effect as you play Survarium free download and you never know when someone is creeping up behind you, I love multiplayer games as there is something so much more satisfying when you kill someone and you can imagine the person somewhere else in the world cursing you, obviously the same goes for when you get killed also. Playing Survarium is good fun you don’t get to choose whether you will be thrown in to a solo or team game, the team games are nice to know that even if you are not having a good day playing hopefully you will have the top sniper on your Survarium team and can take a little glory when he kills the rest of the opposing team for you. Survarium for PC is still in it’s beta phase and apparently has been for some time so I do not know how long it may be until we see a fully completed version of Survarium free download but it ran without many glitches for me. You can’t knock this type of game as a free download I mean if you are not paying anything for it it’s much higher quality than you would expect, although be careful for the little clouds of dust when you play Survarium as they have a negative effect on your soldiers health and it took me a little while to realize this! 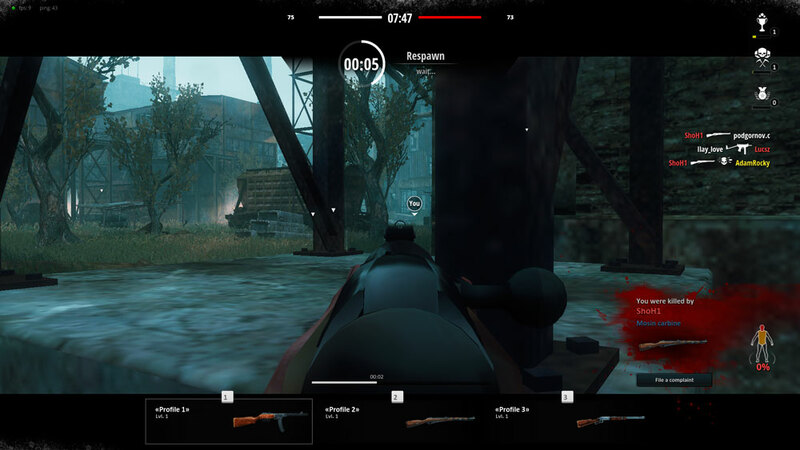 You have a choice of different soldiers to play as and they all look pretty badass you can also unlock more weapons and equipment as the game goes and also carry both a machine or shot gun along with hand gun. There is lots of weapons and equipment to be unlocked when you play Survarium and I’m sure I saw only a very small percentage of that whilst playing. The rain effect during one of the levels was very well done and added to bleak post apocalyptic setting that we had found ourselves in. I never had to wait long for the servers whilst I played Survarium to link me up with other players from all over the world. You must use the landscape to your advantage in Survarium as a couple of bullets to any body part will have you quickly in the morgue, which works both against you when you are the one being shot but in your favor when you are the person doing the shooting. It’s a fun game and the quality of it stands up against many console FPS games, sometimes the keyboard controls are simple and easy to use but sometimes can make your movement feel a little jerky but I guess this is to be expected when you play a game like Survarium for the PC. In conclusion as a free download there is not much to complain about here, in fact there is quite a lot to be impressed with and I’m sure fans of FPS games will enjoy this very much. You can download Survarium for PC here.